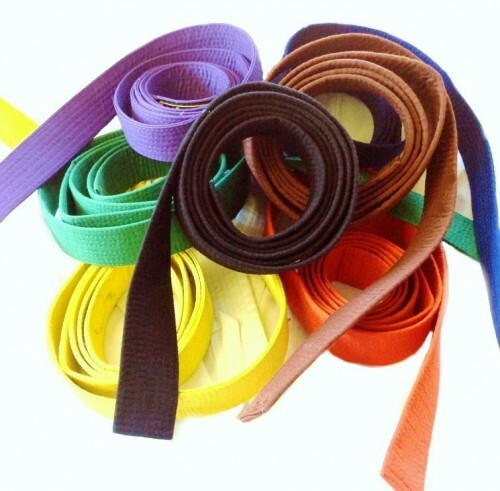 The systematic kyu grading method is designed to prepare the karate student for the black belt exam. It allows the student to set goals and provides them with a platform to test their acquired skills. In addition, karate-ka are expected to develop skills to enhance their ability to defend themselves effectively. These additional requirements include grappling techniques and counter measures against assailants who grip, grab, strangle and hold. Each kyu level gets progressively more challenging, and once completed, yields a sense of accomplishment, success and satisfaction. The step from brown belt to black belt is very significant in the life of a karate-ka, but the true martial artist looks upon the Shodan (first level) as the beginning and not the end of the journey. Once attaining the coveted black belt, karate-ka should assess themselves continually and strive for self-development. The black belt should endeavour to become a worthy representative of the art of karate. • Techniques 1 to 7 are performed moving forwards or backwards at examiner’s discretion. • Each attack is performed twice – once on the right, once on the left. Defender must effectively block and counter each attack. Attention should be paid to correct distancing. Notes: Each attack is performed twice – once on the right, once on the left. Defender must effectively block and counter each attack. Attention should be paid to correct distancing. Notes: Each attack is performed twice on each side. Defender must effectively block and counter each attack. Defender is expected to use a different block and counter for each attack. Time duration between block and counter should be short. The Student must perform Heian 1 to 5, Tekki Sho-dan and favourite kata selected from Bassai-dai, Kanku-dai, Empi, Hangetsu or Jion. Bassai-dai, Kanku-dai, Empi, Hangetsu or Jion. attack and defence from fighting stance.